This is one I remember from childhood. Heat oven to 350 degrees. Coat 13×9 inch pan with cooking spray. Combine butter with crumbs. Press into bottom of prepared pan. Pour condensed milk evenly over crumb mixture. 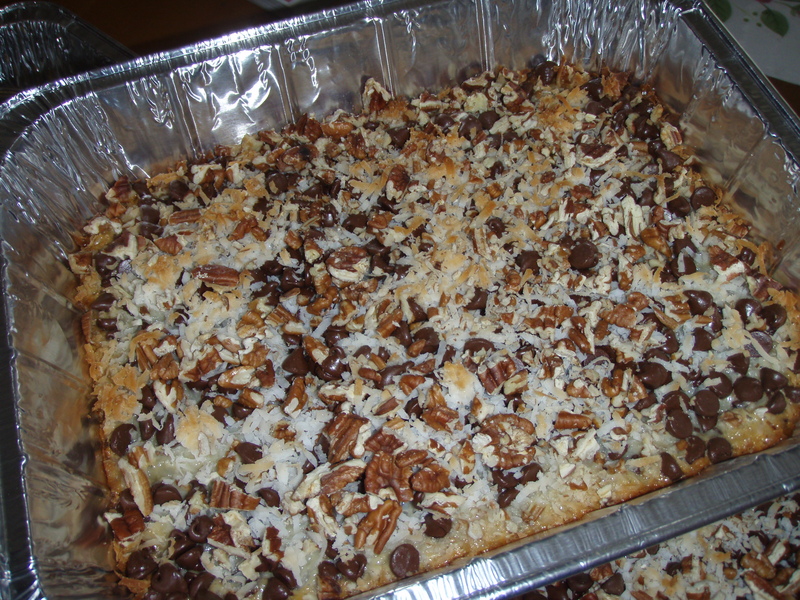 Layer with chips, coconut and nuts. Press down firmly with a fork. Bake 25 minutes or until lightly browned. Cool. ut into bars or diamonds. Store covered at room temperature.